It has always been hot and humid along the Gulf Coast during the summer season. In 2017 though, heat may have been kept from getting excessive, by an uptick in rainy days and total precipitation. Whether viewed climatologically or astronomically, the stats showed a similar outcome. More days featured rain and fewer brought temperatures over 95 degrees. Climatological statistics are kept on three-month intervals; summer is June, July and August. For that period, there were 47 days with measurable rain in the Baton Rouge area and only 5 days at or above 95 degrees. Those numbers significantly depart from average with records dating back to 1930 at Metro Airport in Baton Rouge. Even when crosschecked against some other weather stations in the Baton Rouge area, the trends held. On average, Red Stick thermometers climb to 95 degrees or higher 15 times during the summer season. Even the number of 90 degree days were dialed back. Through September 24, there had only been 69 of them. In an average year, the Baton Rouge area hits 90 degrees about 90 times. Sultry afternoons cannot be ruled once the calendar says fall though. The latest 90 degree high ever recorded in the Capital City occurred on October 30. Due to proximity to the Gulf of Mexico, humidity of course, can be felt through the year. While the Baton Rouge area was cooler than average through summer, the rest of the planet ran warm. Parts of the western United States and central Europe were about 4 degrees warmer than average. A warmer atmosphere causes more evaporation, meaning more water is available for precipitation. 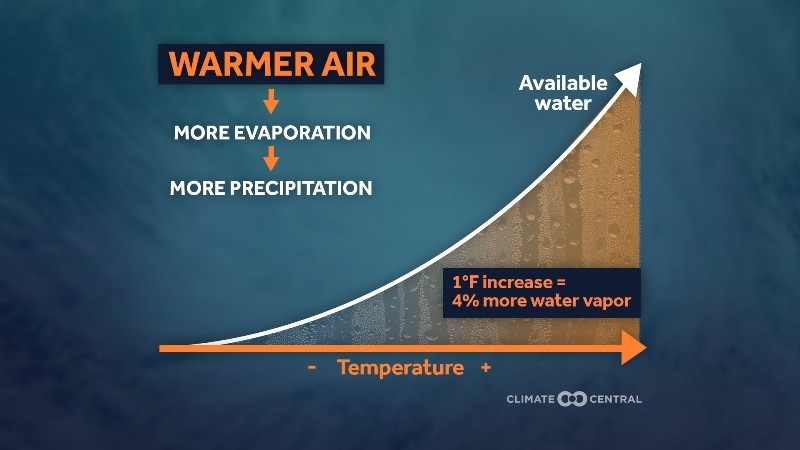 As Climate Central explains, for every 1°F increase in temperature, the atmosphere can hold around 4 percent more water vapor, which leads to heavier rain and increases the risk of flooding of rivers and streams. As weather operates on a global engine, moisture transfer resulted in some locations receiving more than twice the average rainfall—namely the deluge in southeast Texas due to Hurricane Harvey. It was not a washout everywhere though; some global spots were below average too, especially in those hot sections of the western United States and central Europe. For southeast Louisiana and southwest Mississippi, what changes can be expected in the near term? Mainly dry conditions will continue, but a cold front is pegged to cross the area on Thursday, dropping humidity for the upcoming weekend. Temperatures will tick down closer to average. For late September in the Baton Rouge area, average highs are near 87 degrees with average low temperatures near 67 degrees. 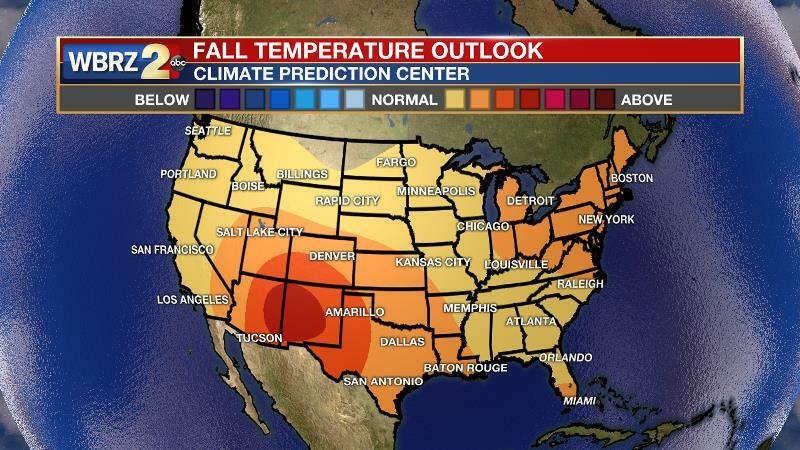 For the longer term, the Climate Prediction Center has predicted warmer than average temperatures across the United States this fall—especially in the southwestern United States. The outlook also called for a parched autumn along the Gulf Coast. For more weather and climate information, stay in touch with the WBRZ Weather Team on every platform. Updates can be found on News 2, wbrz.com, Facebook, Twitter and the WBRZ WX App. on Apple and Android devices.